... Just wanted to drop a few images your way of various railroading scenes from my archives. So without anymore fanfare, lets delve into what this email contains. The first image shows the return trip of one of my favorite NJT trains on the RVL. It would pass through Raritan on its way to Phillipsburg around noon time. 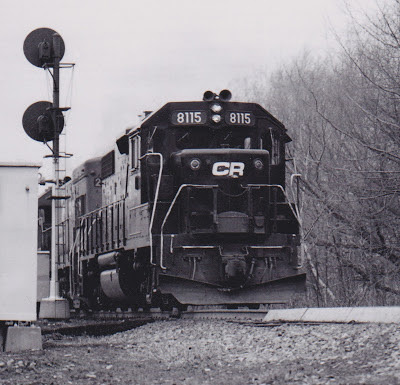 Once in Phillipsburg, it would then make the return trip in the early afternoon. The few times I did have the opportunity to ride this train, you could count the number of passengers on one hand! On this return trip, NJT 4112 is seen heading east past CP STONE. This location was just past the North Branch Viaduct. From the looks of that shed, someone must have been was using it for target practice. Built in October, 1968, 4112's history goes back to when it was ex-CNJ 3678, was rebuilt by CR from NJT 4102 and would eventually be rebuilt as a GP40PH-2. If memory serves me correctly, those two coaches still retain the CNJ paint scheme. This scene's date is un recorded. NORFOLK, VA. – Norfolk Southern Corporation today announced the regular quarterly dividend of 50 cents per share on its common stock, payable on Dec. 10, to stockholders of record on Nov. 2. Since its inception in 1982, Norfolk Southern has paid dividends on its common stock for 121 consecutive quarters. CSX Transportation's Bayside Coal Pier, one of two piers at the company's Curtis Bay export terminal in Baltimore, has resumed normal operations and is again receiving Capesize vessels. The Bayside pier was damaged August 25 when a vessel destined for another facility struck the CSX shiploader. Next Saturday, Oct. 27, 2012, there will be at least 3 model railroad events here in New Jersey. Please see the following 3 posts for more information about each event. Found the following on the Internet. Note: click on this picture to see full size, then use your browser's BACK button to return here. Mike Prokop will be sharing his HO scale FREEMO modules. Don’t have the room for a layout? Freemo may be a great way to get started. Mike will show us how build one along with the standards and the concept of Freemo. 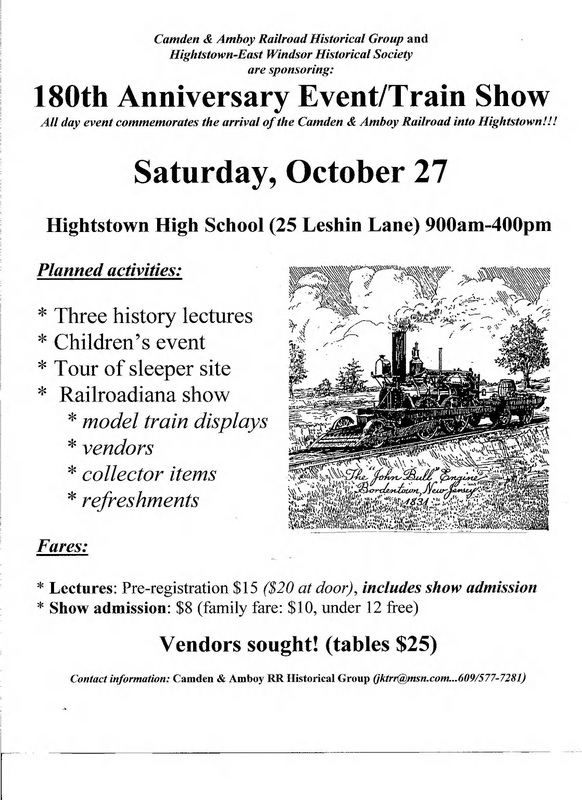 Chuck Diljak will share his ideas on building unique water towers which also served as advertisements. These water towers were a distinctive feature found in many New Jersey towns. Jim Homoki apropos to the meet location will share a presentation on the history of the North East Corridor, towers and stations now and then. Joe Calderone’ s 25’ x 19’ HO scale layout features a seldom modeled section the Delaware and Hudson in upstate New York in the early 70’s. Jim Homoki’s HO scale Newark Terminal Railroad. Jim Homoki’s will have his HO scale Newark Terminal Railroad open. Jim’s layout features great scenery with waterfront scenes. The locomotives and rolling stock are detailed and weathered to fit a 1969 to 1974 time period. The Bound Brook Presbyterian Model Railroad Club HO Scale Railroad will also be open for your viewing. The club is situated in the basement of the office building for the cemetery, across the street from the church. The club has a Pennsylvania RR theme with great scenery. Ralph Heiss' The Lehigh Valley Harbor Terminal Railway is a roughly 22' x 11' HO scale switching layout, simulating the Lehigh Valley 's Hudson River waterfront yard in Jersey City , NJ circa 1951.While there is currently no scenery on the layout, signature scenes currently/will include 4 custom-built float bridges, 3 covered pier sheds and two 12 foot industrial branches, one CNJ, one LV that radiate from two yards on the layout. The layout is powered by NCE DCC with sound equipped locomotives and is "fiddle staged" during sessions. Addresses and maps will be available at meet. More to come, covering all nine predecessor roads (reportedly three of each of ATSF, BN, CB&Q, C&S, FW&D, GN, NP, SL-SF and SP&S), all to be painted gray. Here is the photo referenced above. Following is an article from the CourierNews for Oct 18, 2012. SOMERVILLE — NJ Transit Police are investigating the death of Aly Abbas, 35, a local resident, who was was hit by a Newark-bound train that was carrying 150 passengers about 6:30 a.m. Thursday, John Durso Jr., a spokesman for NJ Transit, said. Durso said the trespassing incident occurred near the Somerset Street crossing, just west of the train station. No one aboard the train was hurt. The accident caused 20 minute delays as the passengers were transferred to another train. By 9:30 a.m, all trains on the Raritan Valley Line were operating on or close to schedule, he said. Somerville Police Capt. George Fazio said the accident happened on property owned by the transit agency, and local police were not involved in the investigation. Fourteen people have lost their lives in collisions with NJ Transit trains this year, according to Nancy Snyder, a spokeswoman for the agency. These events have prompted NJ Transit to conduct safety programs to make more people aware of the need to stay off train tracks. • When approaching a crossing, pedestrians and motorists are advised to always expect a train from any direction, at any time. • Always look both ways before crossing tracks, and only use designated crossings. • Never go under or around crossing gates that are in the lowered position. 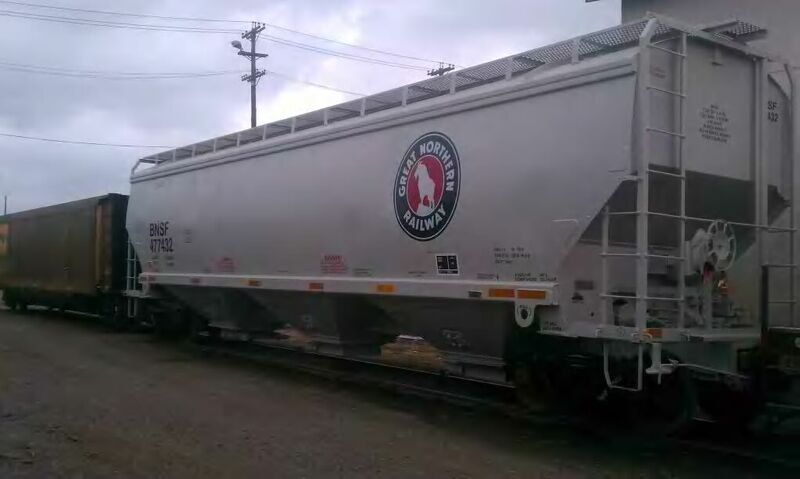 • Never trespass on the tracks: It is not legal, and it is not safe. • Motorists are reminded to make sure there is ample room for their vehicle to clear the tracks when crossing railroad tracks. Be mindful of traffic ahead that could prevent the vehicle from clearing the path of the train. MCCALLA, ALA. – Norfolk Southern CEO Wick Moorman and Alabama Gov. Robert Bentley joined federal, state, and local officials and business leaders today for the opening of the Birmingham Regional Intermodal Facility in McCalla. The $97.5 million facility, located on a 316-acre site adjacent to the Jefferson Metropolitan Park, is a critical component of Norfolk Southern’s multi-state Crescent Corridor initiative to establish an efficient, high-capacity intermodal freight rail route between the Gulf Coast and the Northeast. “There is no other intermodal rail public-private project today that compares with the magnitude of the Crescent Corridor in terms of job creation or environmental benefits,” Moorman said. “Because of its strategic location and the growing intermodal demands throughout the country, the Birmingham terminal will serve as a major gateway for truck-competitive freight moving between the South and Northeast and enable NS to launch new service from Birmingham to the Northeast and to Mexico. Greg Canfield, secretary of the Alabama Department of Commerce, said the announcement was especially timely because by the year 2020, it is expected that U.S. freight traffic will increase 100 percent and international trade will increase by 200 percent. “The location of this intermodal center in Alabama by one of our premiere economic development partners gives the state a strategic logistics advantage to capitalize on these increases and promotes the goals of our economic development plan,” he said. Canfield said the announcement is also important because it helps companies better manage inbound raw materials and promotes goods produced in the state. The Birmingham terminal is the second of four new Crescent Corridor terminals to open. The Memphis facility began operations in July, and the Birmingham regional facility’s sister terminal at Greencastle, Pa., is scheduled to open in January. Construction began earlier this year for a new terminal in Charlotte. In addition, significant expansions of two existing intermodal terminals in Harrisburg are underway. NS constructed the main administrative building to LEED (Leadership in Energy and Environmental Design) Certification standards. The facility also will use the latest in gate and terminal automation technology, which shortens the waiting time for trucks entering the terminal, and improves truck driver productivity and air quality. Additionally, state-of-the-art low emission cranes and hostler tractors will operate within the terminal. The volunteers of the BR&W Railroad are pleased to announce our first public steam-powered excursions in 12 years! Our "Welcome Back #60" excursions will depart Ringoes Station this November 10 and 11 and travel the entire line between Ringoes and Three Bridges. This is your first chance to ride behind #60 in over a decade! Trains depart Ringoes Station at 10:45 AM and 2:00 PM on November 10 & 11. Reservations are required. Click the "Buy Tickets Now!" link near the bottom of this email to purchase your tickets today! Check out the steam page on our website for more pictures, a short video clip, and additional details. Don't forget, Corn Maze and Pumpkin trains operate every weekend this October! Maze & Pumpkin Trains depart Flemington Station all weekend at 12 PM, 1 PM, 2 PM, 3 PM, 4 PM, 5 PM. (These trains are diesel powered). Tickets for the Eerie Limited and the North Pole Express are now available! Oct 20 and Oct 27 Calling all history buffs and ghost chasers! Join us for an evening excursion from Flemington to Ringoes and return. On the way, learn the stories of tragedies, wrecks, and hauntings from the long history of the railroad lines operated by Black River & Western. Reservations required. Recommended for ages 15 and up. Nov 10 & 11 Welcome back, #60! 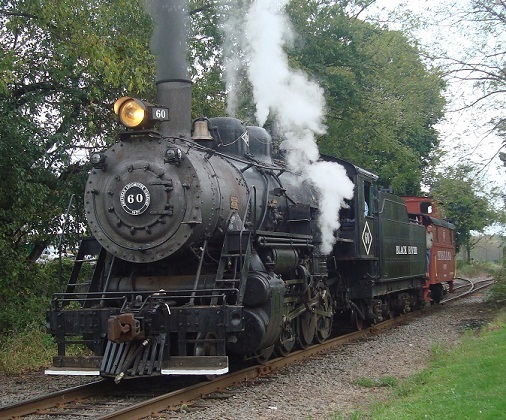 This is your first time to ride a steam powered excursion on the BR&W Railroad in 12 years! Each of these excursions departs Ringoes Station for a round-trip ride to Three Bridges and return. Light refreshments will be available for purchase on the train (additional fee, cash only). All passengers MUST board the train in Ringoes. an exciting train ride to North Pole Station to visit Santa & Mrs Claus! Enjoy hot cocoa and cookies, singing along with the elves, a chance to tell Santa your Christmas wish, and much more. This is a special experience the entire family won't forget. For complete details on this event please visit our website at www.flemingtontrain.com. Trains marked as "Online Sales Sold Out" are COMPLETELY sold out and do not have any additional tickets available. We cordially invite you to join us on Tuesday, Oct. 23, 2012, at 4:30 p.m. EDT to review our second-quarter 2012 results. We will issue earnings results shortly after market close on Oct. 23. For those interested in participating, we will broadcast via teleconference that will be available by dialing 877-869-3847 several minutes prior to the start of the call. At the conclusion, you can listen to an audio replay, which will be available until Oct. 30, 2012. The replay number is 877-660-6853 and access code is 401337. NORFOLK, VA. – In preparation for the start of Amtrak passenger rail service between Norfolk and Richmond in December, Amtrak will begin operating trains to qualify train crews at 79 mph beginning in mid-October. These trains will not be carrying passengers. The speed increase will be effective on Norfolk Southern’s tracks between Portlock Yard in Chesapeake and downtown Suffolk, and between downtown Suffolk and Petersburg. Train speeds through downtown Suffolk will increase from 40 mph to 60 mph in the summer of 2013. Freight trains will continue to operate at the current maximum speed of 60 mph. Track and warning signal improvements have been made to allow for the increases in train speeds. Motorists are reminded to obey railroad crossing signals and warnings and to use caution when approaching all highway-rail grade crossings. Virginia Operation Lifesaver presenters are available to make presentations to community groups, school children, bus and truck drivers and others who live or travel near train tracks to offer safety tips. Operation Lifesaver is a nationwide public education program to promote public awareness of the highway-rail crossing environment and to encourage compliance with the traffic laws relating to crossing signs and signals and trespassing. JACKSONVILLE, Fla. - October 3, 2012 - Earlier today, the board of directors of CSX Corporation (NYSE: CSX) approved a $0.14 per share quarterly dividend on the company's common stock. The dividend is payable on December 14, 2012, to shareholders of record at the close of business on November 30, 2012. On Monday, 10-01-12, an Amtrak train traveling from Oakland to Bakersfield was struck and derailed by a tractor-trailer truck at a grade crossing near Hanford, CA. There are several news articles on the web, few of which are listed here. Click on the headline to see the article. A couple of hours later, another tractor-trailer and train collision occured near Hanford, CA. This accident involved a freight train and was apparently on a different set of tracks. Following is a link to an article about this second crash. Received an email announcing the 12th Annual Mass Transit and Trolley Modeler's Convention. 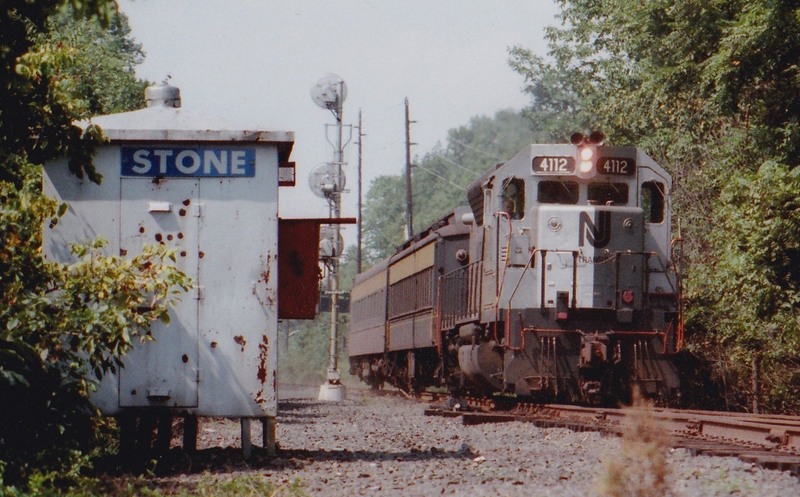 Yesterday, Thursday September 27, steam returned to Flemington & Three Bridges, NJ after a 12 year absence! That's right! Yesterday our volunteers fired up #60 and pulled the first steam-powered revenue freight into Three Bridges since the year 2000! This was part test-run, part regularly-scheduled-freight service. #60 performed admirably, and put a smile on the faces of everyone lucky enough to be in ear-shot! At this time we do not have any announcements about when #60 will pull her first public excursions, but as soon as more information is available we will post the information on our website and will send it to this email distribution list. Don't forget, Corn Maze and Pumpkin trains start this (past) weekend! Trains depart Flemington Station all weekend at 12 PM, 1 PM, 2 PM, 3 PM, 4 PM, 5 PM.